Can any team outscore the Gee-Gees? This may be head coach James Derouin's reaction. 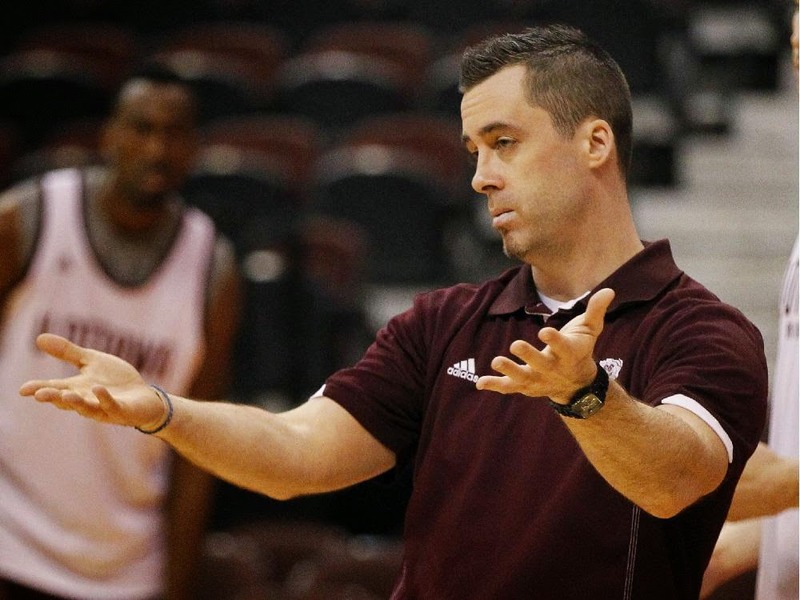 Coming into the 2014-15 season, we knew the Gee-Gees were going to be good. Sure, they lost Terry Thomas to a pro contract in Europe and he was a major piece in their run to the national championship game. A slight regression was an understandable expectation. Thomas used 28% of the possessions when he was on the floor and was damn efficient, shooting 54.1% from the floor and 45.2% from three. Replacing that production is no simple task, although not impossible. This team dealt with the loss of Warren Ward the year before, a player of more importance to the offence. Instead of mediocre start, Ottawa looks better than ever. The Gee-Gees are 8-0 and they've rolled over their top-ten opponents, besting McMaster 106-83 and Ryerson 93-64. Those wins are impressive and the metrics back it up. Right now, Ottawa owns an offensive rating of 134.1. They are shooting just under 41% from three and 52.5% overall, with an effective field goal percentage of 61.8%. Through eight games, 46% of the Gee-Gees field goal attempts have been threes. Berhanemeskel's usage number looks a little high, but it is justifiable: he's shooting 61.1% from the field. He has more ball-handling responsibilities than you would think, and he is averaging 4.8 assists per game with only 1.5 turnovers. Berhanemeskel is fourth in the country in scoring, but from an efficiency perspective, Tommy Scrubb is the only other top scorer on a ranked team that rivals his marks. Caleb Agada deserves credit for his growth too. He started as a raw athlete and blossomed into one of the best all-around wing players. Agada has length that allows him to bother shooters and disrupt passes. Offensively, he has a quick first step and improved his three-point shooting. Last year, he shot 17-58 beyond the arc but he's already made 12 threes on 30 attempts through eight games. Gabriel Gonthier-Dubue and Vikas Gill represent the Gee-Gees two greatest assets: continuity and spacing. The ball zips around the floor and these two are great cutters, but their skills are only emphasized because they have so much room to operate because of the three-point threat. That being said, great cutters do not always get the opportunities they have earned. They either get missed or they get the ball late. Part of that is because players just don't expect the cutter but this squad looks for the man diving to the hoop. Head coach James Derouin deserves credit for turning this into one of the most unselfish groups in the country. Mike L'Africain, is the only starter shooting under 50% -- he's at 43.8 right now -- but since his usage is low, that is an easy pill to swallow. If L'Africain can push his shooting percentage north of that mark, this team becomes even more dangerous. Their bench is doing well too. The next five guys in the rotation are combining to shoot 47.8% from the floor, with Moe Ismail and Matt Plunkett hitting 43.8% and 41.9% respectively from three. Those two shooters help maintain the critical spacing this offence needs. Mehdi Tehani hasn't shot up to his capabilities, meaning they may have a little extra bump to their offensive numbers come 2015. Naturally, Ottawa will get compared to Carleton at every turn. It's a worthy exercise here, as the two have played the same regular season season and are one-two in the CIS top ten. Some quick thoughts on those numbers: the net ratings are probably higher than what we will see at the end of the season. Carleton's pace seems high too; I ran the numbers a couple of times to double-check. I say that because the Ravens have traditionally played slower, but without a real post threat anymore, a quicker tempo makes sense. Of course, the major takeaway is the defence. Its the same old story: the Gee-Gees struggle defensively. It is fair to wonder whether this team is capable of crafting a defence that will shut down other top teams, but that may not be the issue. Don't get me wrong, it's absolutely an issue and I think Derouin would agree. But right now, no one is capable of taming Ottawa's offence to a manageable point, and if you can outscore your opponent like the Gee-Gees do, you mask your defensive shortcomings. We get to see if this team can either tighten up their defence against the other top offence in the country or whether it will even matter on January 10, when the Gee-Gees and Ravens square off in their first match-up since the 2014 CIS Final 8 championship game. All advanced statistics used in this post were created following formulas from Basketball-Reference. For questions about the statistics, please contact scott1hastie [at] gmail [dot] com.